Agriculture Commissioner Adam Putnam, the front-running Republican candidate for governor, faces a court order to pay millions of dollars in damages to 12,000 homeowners in southwest Florida whose citrus trees were confiscated and destroyed under Florida's citrus canker eradication program. If Putnam doesn't pay the Lee County homeowners after 15 years of litigation, a judge is ordering that homeowners can force Putnam to make a list of state assets he must sell to pay damages and legal fees that now total nearly $17 million. Every day the case drags on, the interest owed by taxpayers goes up by another $2,199. In a scathing decision, Circuit Judge Keith Kyle in Fort Myers criticized Putnam for "rationalizations and excuses" that are "without merit and wholly unacceptable." "Commissioner Putnam essentially has done absolutely nothing to attempt to secure payment for the (homeowners) because he apparently has no obligation to do so, despite the finality of the instant judgments," Kyle wrote in a March 20 order. UPDATE: Putnam's office criticized the ruling and plans to appeal. "We strongly disagree with this ruling and intend to appeal," Putnam spokeswoman Jennifer Meale said Wednesday. "Since 1997, the department has handled these cases in a manner consistent with Florida law, which has been supported by a Florida Supreme Court ruling. The lawful process for the payment of these judgments requires a legislative appropriation." The state seized and destroyed nearly 34,000 healthy citrus trees in Lee County between 2000 and 2006. After nearly a decade of litigation, a jury ruled in favor of the homeowners four years ago, but they still have not been paid. The judge held a final hearing last month. In court were residents Lois and Charles Stroh, Deanna and John Klockow and Nancy and John Dolliver, all on behalf of the class of affected homeowners. In his 60-page order, the judge criticized past remarks by Putnam that the Florida Supreme Court should review "wildly different amounts" awarded by courts to homeowners in canker cases in Broward, Palm Beach, Orange and Lee counties. The judge said juries had rendered judgments, no appeals were pending before the Supreme Court, and that it was Putnam who insisted that the cases be tried separately in four different counties. He called Putnam's statement "inaccurate, misleading, and contrary to the oath (Putnam) took" under Florida's Constitution. "As a matter of law and fact, and not subject to appeal at this juncture, the state owes petitioners for taking their property, plain and simple," Kyle wrote. "The commandment to pay full compensation when the state takes private property for a public purpose has been enshrined in the Florida Constitution for more than 150 years." Kyle's order, pointedly criticizing a conservative Republican for trampling on private property rights, is potential ammunition for Putnam's rivals for the GOP nomination. U.S. Rep. Ron DeSantis of Palm Coast entered the race in January with a tweeted endorsement from President Donald J. Trump. House Speaker Richard Corcoran, R-Land O'Lakes, is expected to join the race next month to succeed the term-limited Scott, who's expected to run for the U.S. Senate. As canker ravaged Florida's citrus industry, the eradication program was begun years before Putnam took office in 2011. According to the judge's order, Putnam has taken the position that it was the Legislature's responsibility to approve a budget appropriation to compensate the 11,811 homeowners. Last year the Legislature appropriated $16.4 million to pay the Lee County homeowners and $21 million to pay Broward homeowners whose trees also were seized and destroyed. Scott vetoed the money, citing "ongoing litigation," which the judge said was inaccurate, noting that final judgments were entered years ago. Homeowners appealed Scott's veto to the Florida Supreme Court, but justices upheld the veto in a decision last year. Judge Kyle said Putnam could have requested the payments as part of his annual budget proposal to the Legislature, but did not. However, last year Putnam asked lawmakers for $450,000 to cover his agency's legal fees in the case, which the judge said "one might consider the epitome of irony." 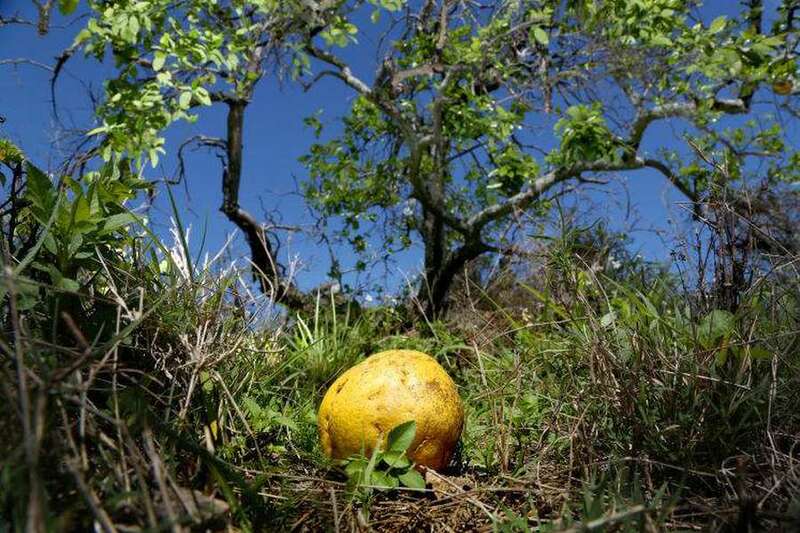 The new $88.7 billion budget Scott recently signed includes $52 million to compensate citrus tree owners in Broward and Palm Beach counties — money appropriated by the Legislature. In its statement, Putnam's office said that process should be followed with Lee County. "As anyone knows," Meale said, "the Legislature appropriates money for canker compensation to the executive branch. We will efficiently pay judgments once the lawful process has been completed." An attorney representing the homeowners, Robert Gilbert of Miami, said: "Commissioner Putnam has flouted the constitutional provision protecting private property rights for years." Gilbert said he hoped Putnam would comply immediately, but conceded that the agency could appeal Kyle's ruling and keep the homeowners waiting, years after being approved for $285.25 for each tree. "The Department of Agriculture appeals everything," Gilbert said. The judge's order noted that if the two sides can't reach agreement, he'll consider holding Putnam in contempt of court.